Value investor Howard Marks, one of the few investors who called the 2007 financial crisis, defines what he calls “second level thinking” as thinking different than the crowd and better. For example, first level thinking is believing a stock is a buy because the company sells a good product. Second level thinking is recognizing the market also seems to believe the company sells a good product because the stock now appears overvalued. First level thinking also credits Amazon (NasdaqGS: AMZN) for creating today’s difficult retail environment without giving much thought to other factors. The perpetual disruptor, Amazon has achieved verb-status, with the term “Amazoned” describing brick-and-mortar retailers being negatively impacted by the e-commerce giant. As an investor, and one who has likely utilized Amazon at one point, crediting Amazon seems like the straightforward explanation. But assuming for a moment that Amazon was less of a culprit than widely-attributed, what would be the relevance and implications? 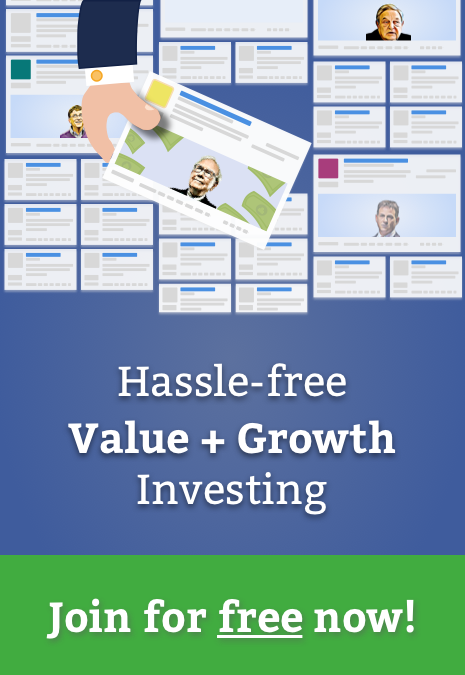 Investor Vitaliy Katsenelson, described by Forbes as the “new Benjamin Graham”, recently entertained this thought exercise and brought up some compelling points. Perhaps less than many investors would guess, online sales only represent 8.5% of the total U.S. retail market ($5.5 trillion). And Amazon only holds a 1.5% share of the overall market. Katsenelson breaks down other forces creating the difficult retail environment including rising health care costs, deleveraging, and changing spending priorities (e.g., the proliferation of smartphones and related costs). So what is the relevance to investors and management? Over allocating resources to fight Amazon may leave companies vulnerable to these “shadow factors.” Accordingly, any stock analysis should also consider how management is dealing with these underlying trends. 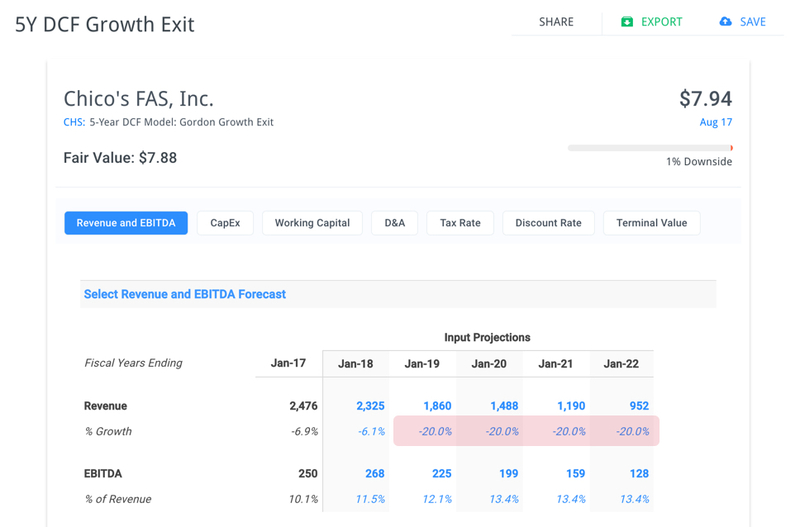 With women’s clothing retailer Chico’s FAS (NYSE: CHS) set to announce earnings at the end of August, let’s look at how management is positioning the company in the face of Amazon as well as these other factors. Chico’s FAS is a retailer of women’s private branded casual-to-dressy clothing, intimates, and accessories. The company operates three segments, including its namesake Chico’s (52% net sales), White House Black Market (34%), and Soma (13%). Chico’s employs an omni-channel sales strategy including 1,500 retail stores, websites, call centers, and an unaffiliated franchise partner in Mexico. While same-store comparables have been in decline, management has been aggressive in reducing supply-chain and marketing costs while taking measures to boost its top-line (more on that below). Cost cutting is expected to save $95-$115 million this year, and management has been focused on tightening inventory and promotional activities. When considering Katsenelson’s shadow factors, the overall squeeze on discretionary spending seems to be most relevant to Chico’s. Low income customers are likely to be more impacted by the squeeze, and so companies with higher income customers appear better positioned. Chico’s looks to be in good shape as the company targets women ages 35 and older with incomes of $50,000 to well over $100,000. Katsenelson also argues that tech start-up success stories and its hoodie culture are having a not insignificant influence on fashion, at least on millennials. That point may be a little overblown, though the trend has certainly been toward more casual, comfortable wear. However, Chico’s casual, athleisure collections like Zenergy cater directly to that trend. The recent dip in revenues has primarily been attributed to merchandising issues and slowing foot traffic. However, Chico’s has been taking steps to address both. The company recently brought in new Chico’s brand President Diane Ellis to make needed merchandising changes. Ellis is updating key basics and the move is expected to begin paying off in the fiscal third quarter. In continuing their rationalization campaign, the company also plans to close 50 stores (with 3 new store openings) this year. Notably, the company’s real estate is fairly diversified with roughly one-third of stores in each of lifestyle centers, malls, and strip centers. With approximately 60% of leases up for renewal over the next three years, management is also looking for more concessions with landlords. All of this without mentioning that management has also done well to increase its percentage of sales from e-commerce. The company now generates 20% of sales from its websites and online sales have been steadily growing at approximately 2% per year for the last several years. There also appears to be potential growth from continued international expansion, with the company focusing on Latin America initially. The company also has $154 million outstanding under its share repurchase program as well as a 3.9% dividend yield for additional total return. Amazon is certainly making it tough for retailers, but second level thinking suggests other factors may be underappreciated by investors. 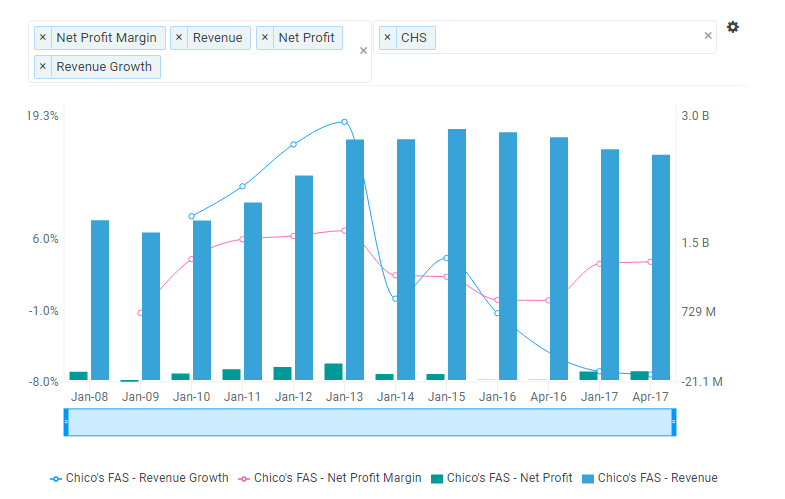 With a high-income core customer, merchandising improvements, and steadily increasing e-commerce, Chico’s looks well positioned against these underlying factors. With over 50% potential upside, Chico’s may be worth a closer look before it reports earnings later this month. Note this is not a buy or sell recommendation on any company mentioned. 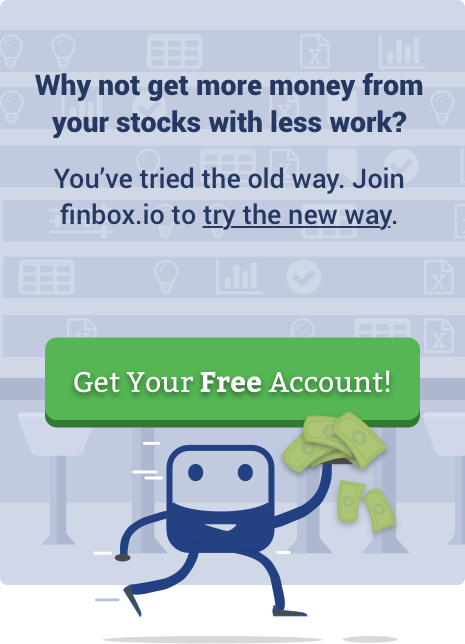 Previous story Is IBM A Value Trap?